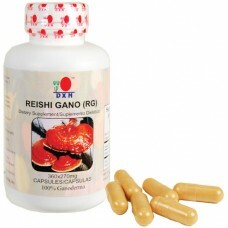 The Content of Polysaccharide and Organic Germanium in Ganocelium is 4 times more than Ganoderma (RG). The first group of active nutraceuticals prominent in Ganoderma is the polysaccharide group. Polysaccharides are carbohydrates made up of many sugar molecules. They are usually big molecules and compose a major part of the plant's cell wall. One of the more popular polysaccharides found in Ganoderma is Beta-D-glucan. This high molecular weight polysaccharide has been found to have a high anti-tumor activity. This means that glucan from the Ganoderma mycelium (Ganocelium) prevents the further growth of tumors and to some extent, reverses them. A study was done where this extract was given to mice artificially inflicted with cancer cells. The scientist found that the growth of the tumor in the mice was suppressed by as high as 92% with 66% of them regressing or shrinking completely. More than 50 anti-cancer nutraceuticals have been isolated in both the fruit body and the mycelium of the mushroom including anti-oxidants that neutralize the toxins that cause cancer are abundant in the mushroom. 1)Reducing the side effects during chemotherapy or radiotherapy. 2) Prolonging survival and minimizing metastasis. 3) Improving the quality of life. 4) Preventing occurence or recurrence. Furthermore, scientists have also discovered that the low molecular weight polysaccharide in Ganoderma activates the receptors in the surfaces of white blood cells and cause both the awakening of the cells and the subsequent release of many anti-viral and anti-tumor chemicals. Interferon and lymnphokines are some of them. Interferon is a protein that the cells employ to communicate with each other. Functioning like the cellular phone of the cells, it is used to send messages to other cells to alert them of coming viral attacks and help neutralize the attack of the virus. When attacked by a virus, normal cells release interferon to warn the other uninfected cells about the attack. The more interferon produced, the better the cellular defense. With proper warning, the infection spread stops. The polysaccharides in the mushroom have the ability to raise the levels of interferon in the body by stimulating the release of this protein from the white blood cells. This gives the person better immune resistance. Dr. Fukumi Morishige, in his studies, also found that the polysaccharide in the ganoderma activates the macrophages and the T-killer cells of the immune system early on the in the battle. It makes them more aggresive in phagocytosis (the process of eating foreign matter) and neutralizing their toxins. These white blood cells help in the battle earlier and assist in limiting the speread of the disease more effectively. Polysaccharides can also improve the ability of the antibodies to fight bacteria. According to a study published by the Drug Research Institute in Toyoma, Japan, the production of the antibodies, especially antibody Immunoglobulin G (IgG), is improved by the polysaccharide extract of Reishi. Another polysaccharide, D6 has been seen to help the quick build up of the bone marrow, the site where many white blood cells called B-cells, which produces the antibodies, and macrophages are produced. This helps the replenishment of the warrior white blood cells when the war against germs gets rough. There are also reports that link polysaccharides to an increase in the levels of the anti-oxidant Super Oxide Dismutase (SOD). 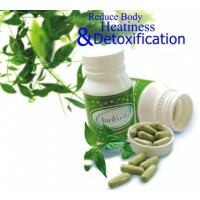 SOD is one of the most potent anti-oxidants only produced by the body. How free radicals damage our body? As an anti-oxidant, it acts by neutralizing the circulating free radical toxins. Free radical toxins are waste products produced by the chemicals ingested, the various infections, drugs and the stress. They attack the cells in the body and change their characteristics resulting in tissue malfunction or even destruction. The entire process of free radical attack and change is called oxidation. Cholesterol cells, when oxidized by free radical toxins, turn into a sticky fat blob that clings on the walls of the artery. Cells that are oxidized can also turn bad and start producing cancer cells. There are chemicals, however, that neutralize free radicals and prevent them from oxidizing the cells in the body. These are called anti-oxidants. Vitamin A, C, E, Selenium, Lycopene, and Beta-Carotene are some examples of these. In the body, the SOD is the most powerful anti-oxidant ever produced. Dr. Denham, in his Free Radical Theory of Aging believed that our bodies begin to age when the levels of SOD begin to drop and the free radical levels rise. This happens at age 25. The intake of ganoderma stimulates a higher production of SOD and slow down aging process. 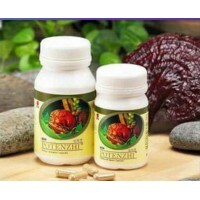 Germanium mineral that is present in many therapeutic herbs like garlic, aloe vera, chlorella, ginseng and watercress. The mineral also is abundant in Ganoderma where it was discovered to have the highest concentration of Organic Germanium of all. The mineral helps deliver oxygen to the cells. Since oxygen is indispensable to the life of the cell and an integral part of its metabolism, Organic Germanium helps improves tissue function and integrity, enhancing one's overall health. The clinical report of Japan Cancer Association correlated Organic Germanium with the lowering of blood pressure in animals with high blood pressure. Tests show that blood pressure of animals went back to normal in 7 to 10 days when given the mineral. Other studies show that Organic Germanium improves the immune function of the patients. It induces the production of interferon according to the Journal of Interferon Research published in 1984. It has an anti-tumor effect secondary to improved Macrophage activity according to the Japanese research paper: Gan To Kagaku Ryoho. The journal of Pharmacological Dynamics in a 1983 publication showed that organic germanium facilitates analgesia or pain relief in both oral administration and injection. It does so by releasing natural morphine-like chemicals called Endorphins in the body and activating the receptors that produce a morphine-like pain relief. Ganoderma has the advantage of having the highest concentration of Organic Germanium among the therapeutic herbs available today, let alone that Ganoderma Mycelium has 4 times more Organic Germanium compared to Ganoderma. · GL is an oxygen supplier. · It rejuvenates, heals and balance the bone marrow. · It is a brain tonic. · It is able to eliminate water solube toxins. · Reduces sugar level and revies pancreatic functions. 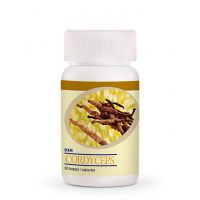 Cordyceps Capsule consists of 100% Cordyceps sinensis. 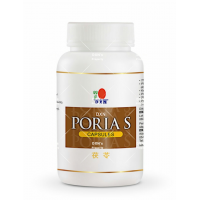 It contains abundance of nutrients and bioact..
DXN PORIA SDiscover the secret of a healthy life with DXN Poria S!- DXN Poria S is formulated from P..
Andrographis (Andrographis paniculata) is an herb long used in traditional Chinese medicine and .. This unique proprietary blend of 9 pure herbs is specially formulated in excellent combination to ex..